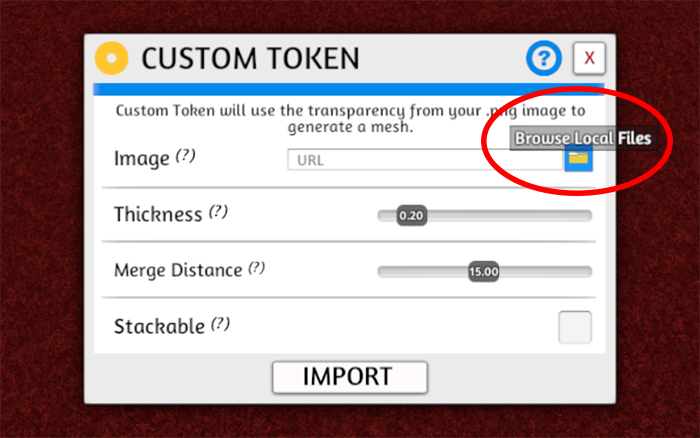 Importing is very easy and there are a couple of different ways you can import your custom files into Tabletop Simulator. 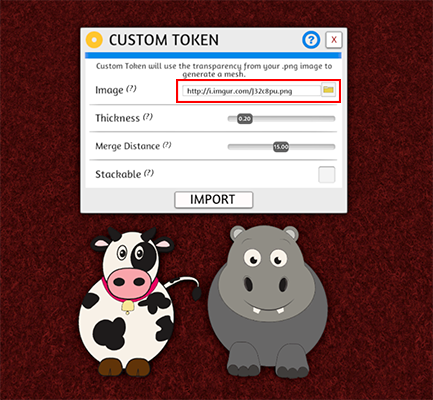 If you don’t want your files uploaded to the public because you are still in the testing phase, then you can import your files by clicking the yellow file folder next to any image/url box. – Choose your file and click open. – A window will pop up asking if you want to upload your files locally or upload them to the cloud. Choose Local. – You will now see that it’s grabbing the local file on your computer. 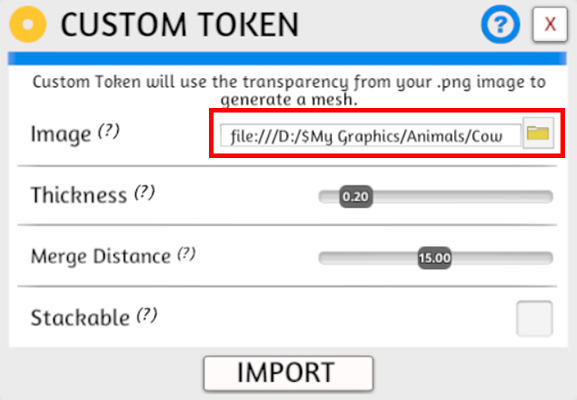 – Click Import and you will see your new object in place. – Please note you cannot use this option and share your game in multiplayer. – If you want to private test with other people, you can send the files and images to your friends so they can view them without you having to upload the images to any web host. Otherwise, use the multiplayer option below. a. Follow the steps in Private Testing above to bring up the file browser and choose your file. – When you click open, at the new menu option, choose Cloud. This will upload your file to your personal Steam Cloud. – This will allow you to import your files directly from your computer to your cloud and everyone will be able to view these files in multiplayer. – You can use any webhost as long as the images are set to be viewed by the public. Imgur is an example site we use, but you can use any site of your choosing. Make sure you check their guidelines as some sites will compress the images or will block images in certain countries. 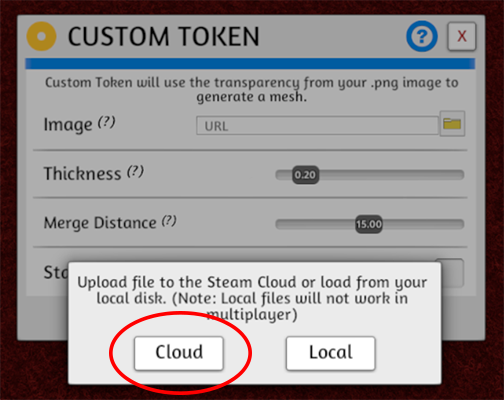 In this case, the Steam Cloud importing option is your best choice. The Cloud Manager shows you what images you have uploaded to your Cloud, the size of the images, and how much space you have available (You have a 100GB limit). 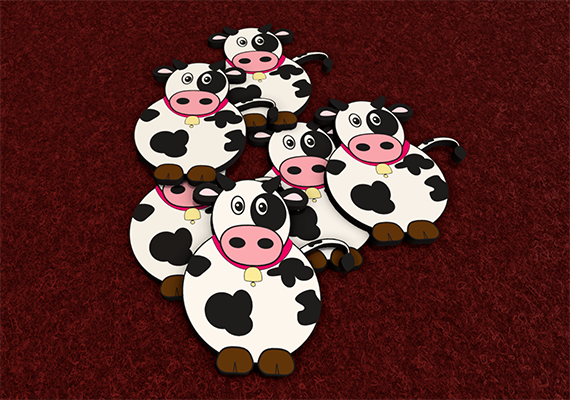 Clicking the preview image will copy the link automatically, so you can load that URL into the input field. 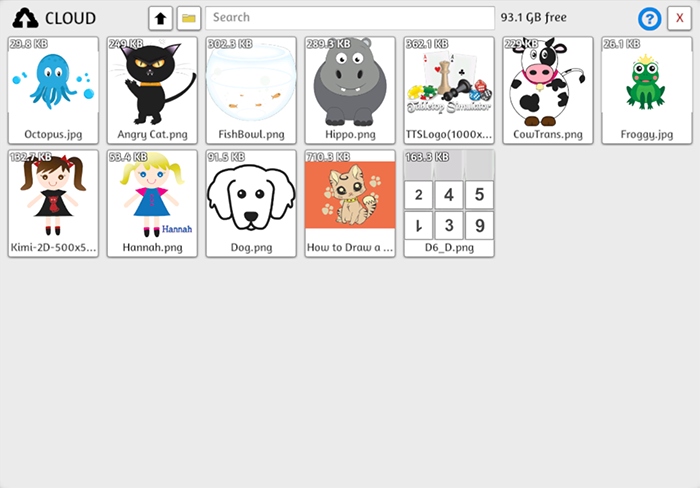 – You can easily delete files from your Cloud by hovering over an image and clicking on the Trash Can Icon. If you delete an image that you have in a Workshop mod, it will no longer work, so make sure you are 100% sure before deleting these files. 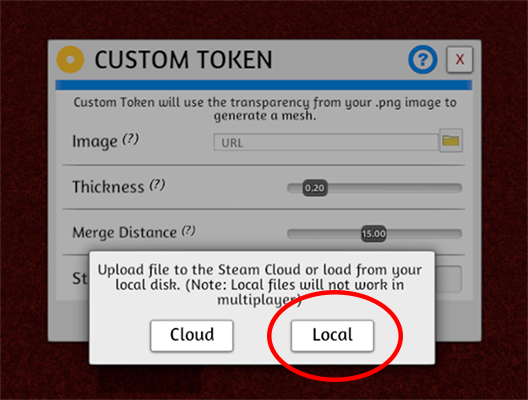 – Click the 3 dots to either preview the full sized image in the Steam overlay or delete the file from your Cloud. – In the top bar of the Cloud Manager you can click the up arrow icon to upload all loaded files directly to the Cloud. This is great for mass uploading local files after privately testing to play with others and for uploading broken files if applicable. – You can also upload files directly to the Cloud via the file browser.